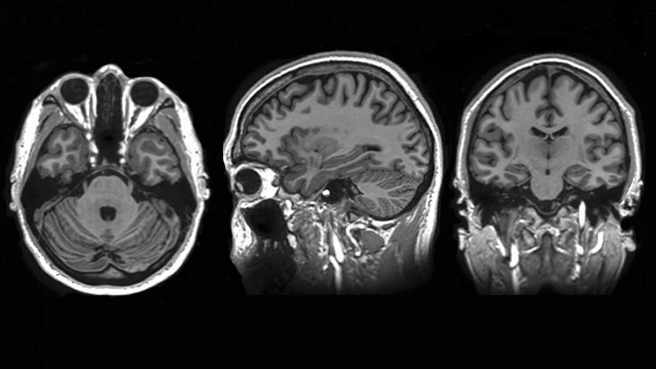 ROCHESTER, Minn. — On June 28, Mayo Clinic will unveil a new, one-of-a-kind, compact 3T magnetic resonance imaging (MRI) scanner developed in collaboration with General Electric’s (GE) Global Research Center to an invitation-only audience. The compact 3T system is an investigational, research device that was developed under a National Institutes of Health Bioengineering Research Partnership between GE Global Research and the Mayo Clinic. The new system is designed specifically to do head scans, as well as small extremities, such as wrists, feet and ankles, which represent approximately 45 percent of the clinical MRI volume at Mayo Clinic. The system was installed earlier this year in Charlton North Building, part of Mayo Clinic’s downtown campus in Rochester, Minnesota. One of the goals in designing this new system was to improve the patient experience. Feedback from patients and volunteers confirms that the experience in this scanner is more comfortable. Improved comfort stems from the ability of the patient to have his or her arms and torso completely outside of the magnet. In a conventional, whole-body scanner, the patient must lie on a table that goes into the magnet, which can be uncomfortable for patients, particularly those with claustrophobia. Due to its compact size, the new system has several potential advantages over conventional, whole-body MRI systems, enabled by the superconducting 3T magnet. The new prototype magnet is approximately one-third the size of a conventional system and requires a fraction of the liquid helium to operate — making it easier to install in space-constrained locations — a common problem in hospitals. The reduced size also helps lower the electrical power usage while increasing the scan speed dramatically. Initial investigation and evaluation of this novel design has produced high-quality images for a variety of advanced applications, including diffusion MRI, functional MRI and MR Elastography. The Mayo team is led by co-principal investigators Matt Bernstein, Ph.D., a medical physicist, and John Huston, M.D., a neuroradiologist, who have collaborated together on a variety of MRI projects for nearly 30 years. The core team at Mayo also includes Erin Gray, Yunhong Shu, Ph.D., Shengzhen Tao, Josh Trzasko, Ph.D., and Paul Weavers, Ph.D. The GE Global Research Center team is led by co-principal investigator Thomas Foo, Ph.D.
Dr. Huston and Dr. Bernstein are available for interviews, and reporters can request a tour of the scanner. For scheduling or more information, contact Ethan Grove, Mayo Clinic Public Affairs, at Grove.Ethan@mayo.edu. For more information on the scanner, visit Discovery’s Edge.